After a long illness, Sister Cecile Therese Burton very quietly died Wednesday evening February 17, 2016 at 9:30 PM at the Maryknoll Sisters Home Care. She was 91 years old, and had been a Maryknoll Sister for 70 years. The family moved to Philadelphia and she graduated from Little Flower Catholic High School in 1942 and Immaculata College, Immaculata, PA in 1945 with a B.A. major in French and a Teacher’s Certificate. She entered the Maryknoll Sisters Congregation from St. Martin of Tours Parish in Philadelphia on September 6, 1945 at the Maryknoll Sisters Motherhouse in Ossining, NY. At her Reception she received the religious name Sister M. Cecile Therese. Sister Cecile made her first Profession of Vows on March 7, 1948 at Maryknoll and her Final Vows on March 7, 1951, in Hawaii. She taught for a year at St. Anthony’s School in the Bronx, NY before her assignment to Hawaii in 1949. The next forty-three years were spent in various missions in Hawaii as grade and Junior high school teacher, Religious Education Coordinator, parish Pastoral Worker, and part-time teaching English as a second language. In the 1960s Hawaii added foreign languages to grade school programs and as a French major Sister qualified for a Fulbright Scholarship to study in France in the summer of 1965, obtaining a Cert. D’Assiduite. In 1979, she attended a course in Clinical Pastoral Education at Central Islip, NY. In 1991, during an interview with the Diocese Vocation Office, Sr. Cecile was asked if she had a testimony to share with the people with whom she worked. She replied “I really don’t have a testimony. Maryknoll Sisters are missionaries, but I have never been sent outside the U.S. However I have served in Hawaii forty-two happy years working with and learning from our Island peoples of many cultures”. In describing Cecile Therese, the bulletin of a Honolulu parish where she worked, put it this way: “Here is someone, who would never call attention to herself; who would teach our children, and minister to the elderly as Sr. Cecile does daily. Wouldn’t we like to know something about the people to whom we entrust our family members? Isn’t it great to know that in this lady, we have someone who rises at 5:00 AM to ask the Holy Spirit for help and guidance through the day, who loves to play the piano or another instrument, but has no time to do so, because in her spare time she meets with people from all walks of life, to pray for peace and justice in the world…that in this outreach, she is a quiet witness to all she meets, of the Holy Spirit who dwells in her and in them, and in this area, more than any other, she is truly a “Missionary to the World”. In 1991, while in Kailua, she started a new project, “WALKING WITH WOMEN”, working with women who lived in prisons and shelters, and began advocating for women’s rights. She was also involved in a Community Action Program, especially in Senior Day Care and an Abused Shelter for Women and Children until 1998. 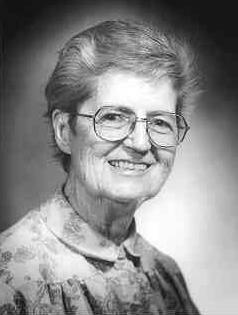 In 1999 Sr. Cecile moved to the Maryknoll Sisters residence in Monrovia, CA where she helped in an adult Literacy Program, taught piano and mentored at a local Middle School to help children improve their reading skills. She returned to the Maryknoll Sisters Center at Maryknoll, NY in 2006. Her prayer ministry was to pray for the peoples of Hawaii and Pacific Islands. We welcome our Maryknoll brother, Father Jack Sullivan, who is our presider at the Mass of the Resurrection.